Search engine optimisation … is your website getting found? SEO, search engine optimisation, page ranking ... it's a huge topic which I won't attempt to cover comprehensively here in a single blog post. So this, the first in a series of posts on SEO, will concentrate on your website's keywords. When you first start developing your website do some research into what search string you think your potential customers will be typing in to Google to find your site. Think about the services you are offering ... perhaps you are family lawyer. So your keywords could include; family law, divorce, separation, children issues, child maintenance, mediation, resolution along with a reference to your location. Once you've researched and narrowed down your keywords they now need to be worked into your content. 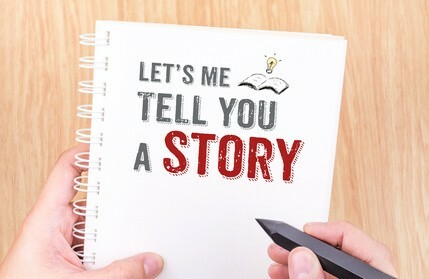 Ideally the keywords need to appear naturally within you main body content twice to five times in every hundred words. However, don't be tempted to compromise the quality of your copy in an attempt to cram the keywords in. Content is king and it's ultimately more important that it reads well. There are also plenty of other places where you can incorporate your keywords:The first and most obvious place where they are really going to work for you is in your domain name itself. For example, this site, although the domain name is possibly rather long, does include the two most important keywords ... web design.Include the keywords in the other areas of the URL, for example this article appears on the blog pages of the website and the full URL of this menu item is http://webdesignunlimited.co.uk/web-design-blog. So, 'web design' appears again. 'Blog' is also another word that could work for this website as web design customers, may also be searching for information about blogging.Use your keywords in your headings. They will stand out on the page and instantly convey to your website's visitors what services you are offering as well as optimising your website.Include your keywords in the ALT text of any images that you use. Use the footer area of your site ... keywords can be incorporated here and also provide a useful means of linking to other relevant areas of the website. 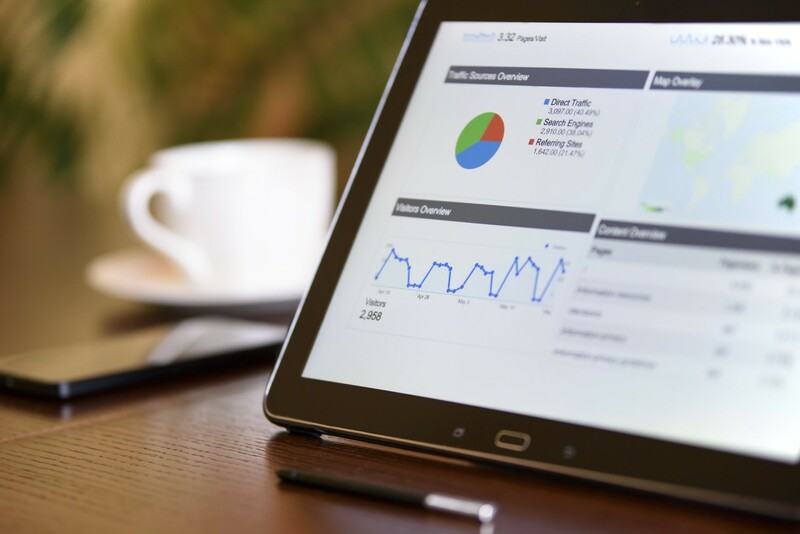 These are just a few pointers and should be implemented on your website, but there are many more things that you can do to boost the performance of your site. Check back again soon for more SEO tips. A lot more than you may think. Before you start developing your website for your new startup business spend a bit of time doing some research into your domain name. Your business may be new ... no one will know about it yet and getting found amongst all the competition and established websites out there is going to take a little time. Make sure you choose something that is going to optimise your chances of getting found. Here are a few important points to consider regarding your domain name ... especially if you are going to be one of many small local businesses. The situation is of course different if you are going to be launching a big brand with a promotional budget to match. Does it say what your business does?Does it say where your business is?Are the words you've used distinctive and unique? The third point initially, will be very important. Before your website gets found organically for your chosen keywords that are relevant to your products and/or services, people you have met or who have maybe heard about your new business will be searching for the business by it's name and they will probably be using a search string like 'go for it high wycombe'. Chances are those three, high frequency words, appear on thousands of websites and your new site is not going to get found by it's name alone. So even people who know you and have maybe already done business with you will struggle to find your site unless they know the URL. So consider using a domain name that includes something specific to what your business does and possibly also references the location. For example, lets say you are offering personal development and coaching, coachinghighwycombe.co.uk would probably serve you better. However, the chances of this combination still being available are probably slim. So, goforitcoaching.co.uk may be a good starting point. 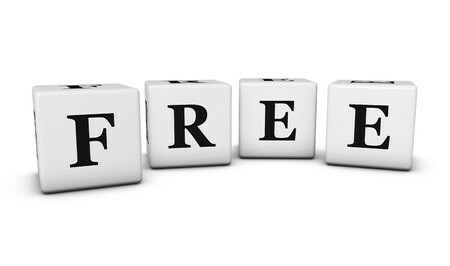 Is there any such thing as a FREE website? 'How much does a website cost?' is usually the first question I get asked when I start talking to anyone about web design ... potential client or otherwise and I have to stop myself saying 'how long is the proverbial piece of string'. There are a huge number of variables and one website can cost infinitely more than another one of a similar size for a whole host of reasons. Then throw into the equation that there are many free tools available for building your own website and the decision about how to move forwards with your website design and how much should it cost gets even more confusing. What are you good at? Probably, doing what you've set yourself up in business doing. Not planning, designing and building a website.How much does your time cost? In other words how much do you earn delivering the goods and services of your new venture. Consider these two points together and balance out the advantages of getting a 'free' website against all the time you will have to invest in developing that website, quite possibly with a limited skill-set and almost definitely with no experience of web design. Time spent developing your website, is probably better spent developing your customer base and fee earning rather than spending hours on something that could be accomplished in half the time by an experienced web developer. You'll end up with a professional looking result as well! Plus ... is it really FREE? This is important. Many of the free options do not include many things that you will most definitely need. For example a mailbox is very often charged as an extra. My current provider allows up to 500 mail boxes, possibly excessive for a small business, within the fee for annual hosting. There is an art to writing copy for your website. You may enlist the services of a professional copy writer, but chances are, if you’re a small business on a budget, you may decide to tackle it yourself. After all, you know your business better than anyone. So you have all the facts about your small business and its products and services, but here are a few guidelines, to help you present all that knowledge in its most effective manner. It’s about attracting the right readers who will convert to customers. Who is your ideal reader or visitor to your website? First of all who do you want to engage with the text content on your website? Think about who your ideal customer is and what is most likely to appeal to them. You want to stand out from the crowd. You want them to pick you over your competitors. Imagine you are talking to them as you write and that you’re having a conversation with them through the text content on your website. People like to read about themselves and your website visitors don’t necessarily want to read about how great you think your products or services are. So with that in mind focus on making the benefits of your products and services personal to your reader. Readers like to feel that they can identify with a problem or situation. Show that you understand their needs and demonstrate how your products and services can help to benefit them. Yes you need more than a few magic words to seal the deal, but most website visitors are in a hurry. They don’t want to make too much effort to read long pieces of text and the right headline can convey your key message as well as encouraging the visitor to read the rest of your content. Do you need profile pictures on your small business website? After all what you look like has no bearing on your ability to do your job and deliver your services. Think again. You're representing your small business and possibly starting from scratch. You go to those all important business networking meetings and make a whole bunch of useful contacts. You hand out your business cards with all your contact details. You've probably collected a few yourself. Well so has everyone else and your card and details are in amongst them. What do you do when you get back from that meeting with all those business cards? I sit down and look at the websites of the people I've met and I look at their various social media profiles. At this point, I sometimes find I'm having trouble matching the faces I've met with the details I've collected and this is where a photograph on a website or social media profile is essential. I never forget a face and I have been to many networking meetings where I've recognised the face of someone I've met before, but can't quite remember how or what they do. With this in mind the photograph really helps lodge that person I've just met in my memory. Having a photograph on your website is one of the many small things that can help when trying to stand out from the crowd of the many others who are competing for your potential clients. On the other hand your potential customer could have come across your website and got in contact with you. The next step is usually that all important first meeting. If you're a small business working from home, the chances are this meeting will be in a public place and not at your home. If nothing else that photograph helps your prospective client identify you and saves the embarrassment of accosting strangers in a coffee bar. I've done it! Developing a website from scratch using HTML allows you complete freedom with the look and feel along with the functionality of the front end of the website. The down side is that the cost can be prohibitive, not only for the initial development but also for the ongoing maintenance since you will most likely require a developer to add new content. A CMS offers a less expensive solution initially and it is also likely to be more straightforward to maintain the site and keep content updated. But having elected to go with a CMS there are decisions to be made about which. 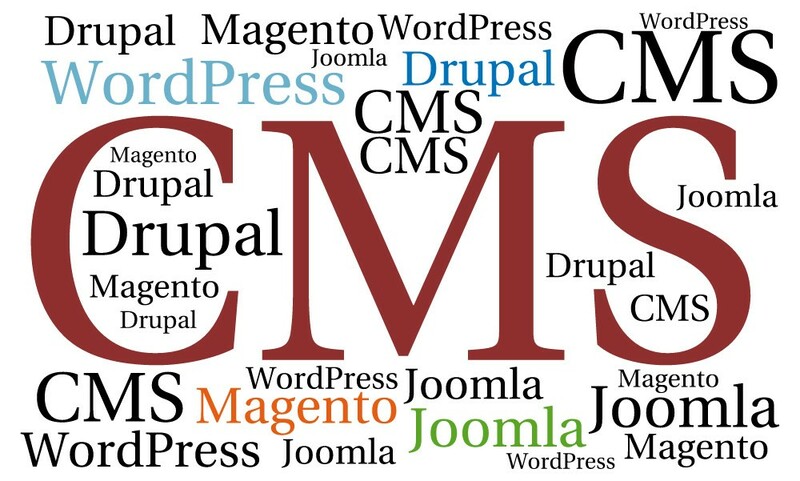 Open source (or “free") CMS such as Wordpress or Joomla or a custom CMS which has likely been developed with a specific industry or business sector in mind. A bespoke, industry specific, CMS may well look appealing. It is however, likely to be expensive in the first instance. The cost of developing the CMS will be included in the fees associated with the initial design and build of the website. With the above in mind it’s worth thinking about the alternative route using an open source CMS such as Wordpress or Joomla. The core CMS is free to install and use to develop your site. Additional plugins or components may need to be purchased to enhance the sophistication of your site, but the cost of these is generally low. While you may not get the immediate functionality of the custom CMS that has been developed for your market, the open source community is huge and with a little research from an experienced web developer an extension or component can usually be found that delivers as required.